It is no secret that I am a hockey fan, especially during the playoffs. My heart has been and always will be with the Montreal Canadiens, however living in “Cowtown” (Calgary), it’s hard not to have a small corner of my heart dedicated to the hometown heroes – The Calgary Flames. So I face the dilemma of whom to cheer for if the Canadiens and Flames should meet in the playoffs. I guess it will be a win-win for me because whomever wins I’m happy. One thing I know for sure is: the NHL team with the best beards usually win ! 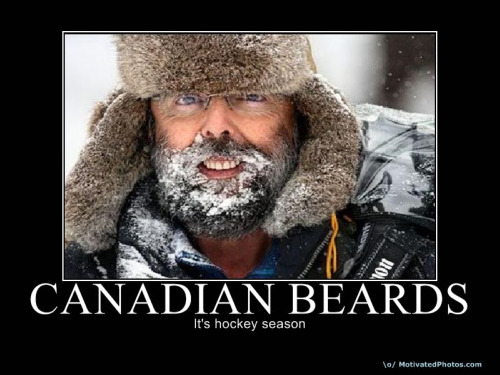 A playoff beard is the practice of a NHL (National Hockey League) player not shaving his beard during the Stanley Cup Playoffs. The player stops shaving when his team enters the playoffs and does not shave until his team is eliminated or wins the Stanley Cup. The tradition was started in the 1980s by the New York Islanders. After the Islanders dynasty ended in 1984, the playoff beard tradition was lost but then was brought back in 1995 by the New Jersey Devils who used the beards. After the Devils won the Stanley Cup, the beard has been used ever since. The tradition is also practiced by nearly all North American hockey leagues including university and high school teams. I am NOT a fan of the scraggly beard look. I don’t understand the tradition myself but hockey players are a very superstitious bunch of guys. Silly or serious, superstitions have become a part of the great Canadian game. The Philadelphia Flyers believed in the winning powers of singer Kate Smith in the 1970’s. She was their “lucky charm”. Before a game at the Spectrum, if she sang God Bless America, instead of the national anthem, the Flyers often won the game. “At one stage, Philadelphia had an incredible record of 62 wins, 13 losses and 3 ties, thanks to the inspiring presence of Ms. Smith.” Even though Kate Smith passed away in 1986, she is still seen on tape singing before some Flyers’ home games. Intrigued by hockey superstitions I decided to do a little research. Players wear lucky socks or lucky skates and play with what they consider lucky sticks. They will lay their equipment out the same way before every game, put it on in the exact same order and put it away in the equipment bag in a particular order after a game. Other goalies sweep the ice in front of their creases from the left to the right only, or right to left only. All fans will note that their team may come on to the ice before or after their opponent before a game and after intermissions. Some teams skate in a certain direction, clockwise or counter-clockwise during the warm up. The most common ritual is the entire team skating past their goalie before the start of the game and tapping his goal pads with their sticks. Numbers also play a huge role in the hockey mystique. Certain jersey numbers define a player just as much as his own name. If I were to say these numbers: 4, 10, 29, what Montreal Canadien players immediately come to mind? (Beliveau, Lafleur, Dryden) Wayne Gretsky wore #99 his entire NHL career. …and yes, there are also lucky and unlucky jersey numbers. “For the same reason many high-rise hotels don’t have a 13th floor, Colorado College’s hockey team doesn’t have a player who wants any part of the No. 13 jersey. CC, …doesn’t have any players who want to test the age-old superstition that 13 is bad luck, and for good reason. The last two players to have No. 13 for the Tigers fled the jersey like it was on fire. Center Andreas Vlassopoulos tried it as a freshman in 2005 when his preferred No. 3 was taken by Lee Sweatt. About 25 minutes into Vlassopoulos’ first career game, he suffered a season-ending knee injury. He said he decided to give up No. 13 about the time he found out he needed surgery…Dan Quilico wasn’t superstitious, either, and he had always had numbers in the teens. When he got to CC in 2006, No. 13 was available. “I wanted to do something with my freshman year, try something different,” Quilico said. Hockey coaches are also a superstitious bunch. Apparently 95 out of 100 coaches do not allow their pictures to be taken before a game because it is considered a bad omen. They will wear the same tie and/or suit when the team is on a winning streak. When their team loses, they not only analyze what happened during the game but what may have happened in the spiritual realm to jinx or bless their efforts. …the team that scores the most goals! 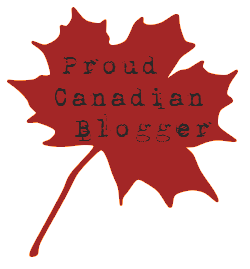 This entry was posted in Canadiana, Proverbs 16:9 - Journey Thoughts and tagged calgary flames, Hockey, Hockey History, hockey superstitions, Montreal Canadiens, NHL, Stanley Cup Playoffs, Superstitions. Bookmark the permalink.